With decades of housing industry experience and vast connections, our Board helps grow our business. The Home Innovation Board of Directors brings a diversity of industry and business knowledge, expertise, and connections, and a wealth of leadership experience to help achieve our strategic business objectives. Bob Hanbury, a member of the NAHB Remodelers Hall of Fame, is President of House of Hanbury Builders, Inc., a full-service residential remodeling firm with 40+ years of transforming client ideas into inviting, usable spaces and improving the looks and livability of homes in the Greater Hartford, Connecticut, area. He also has a deep history in code development, as an ICC IEBC Development Code member for nearly 20 years. 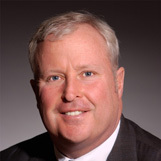 Don Pratt is President & CEO of Construction Education & Consulting Services of Michigan, LLC. In this capacity, he consults with attorneys, building owners, homeowners, and insurance companies regarding construction-related issues such as defects, workmanship, water intrusion, mold, and energy. He has appeared as an expert witness in over 600 cases. Don is also an industry educator, having developed and taught construction-related classes like Michigan's required 60-hour pre-licensure training. Don also has a deep background in codes, chairing the Michigan Construction Code Commission for nearly 13 years. 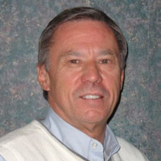 Bruce Boncke is CEO of BME Associates in New York, and has provided engineering and planning services for over 40 years. Bruce is generous with his expertise, serving as part of the training staff for the Monroe County Planning Department, NY Planning Federation, NY Association of Towns, NY State Bar Association, and NAHB’s University of Housing, on the local, state, and national levels. 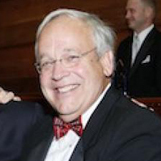 His leadership credentials span the industry as a past president of the NY Planning Federation, the Rochester Section of the American Society of Civil Engineers, the Rochester HBA, and the NY State Builders Association, among other leadership roles. He was also a Lt. Governor-appointed member of the state’s Quality Communities Task Force Advisory Committee, and a member of the ANSI Consensus Committee that developed the ICC-700 National Green Building Standard. Michael Baldwin is the owner and president of Baldwin Homes, Inc., an Anne Arundel County, Md., company that builds energy-efficient multifamily, single-family production, and custom homes. 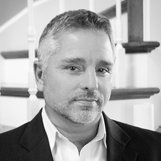 Michael has over 20 years of experience in residential construction. 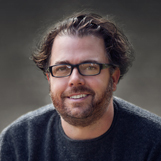 Michael is an active member of NAHB, the HBA of Maryland, the Maryland Residential Green Building Council, and USGBC, and is a Certified Master Builder and NAHB Certified Green Professional. He conducts green building seminars for realtors throughout Maryland to help them better convey the value of green homes to prospective buyers. 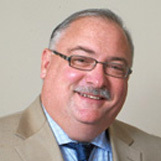 Gary Grossman has been a leader in the real estate, land development, and construction industry since 1977. He has built projects in 18 different countries, delivering more than 11,000 homes. Gary has applied his business and industry acumen to owning and operating several wood truss and prefab systems-built housing companies, all specializing in large-scale turnkey wood framing systems for the professional contractor community. In addition to his multinational systems-built operations, he also owns several multifamily projects, motels, and food service operations. 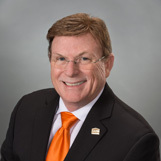 Gary has been actively involved with the national leadership of NAHB for over 25 years, and has served in various positions on the Home Innovation board since 2004. Jerry Howard, CEO of the National Association of Home Builders, has over 25 years of association experience and a lifetime in the housing industry, growing up working for his developer father. He began his association career at the National Association of Realtors, where he served as a legislative analyst for tax issues. Prior to joining NAHB, Jerry served as the chief lobbyist for the National Council of State Housing Agencies where he was instrumental in the development of the low-income housing tax credit as part of the Tax Reform Act of 1986. Before embarking on his association career, Jerry practiced real estate law in his home state of South Carolina. For the past 20 years, Troy Johns has been actively involved in the development, construction, and renovation of sustainable, healthy, highly energy-efficient homes in Clark County, Wash. As the largest builder in the Pacific Northwest, his company, Urban NW Homes, has established significant efficiencies among subcontractors in the region, allowing him to implement highly sustainable features for his homebuyers, while maintaining affordability. Believing that “green building” is just another way of saying smart and responsible building, Troy’s mission is to cut energy consumption in the homes he builds by 50% above Energy Star standards. He holds leadership positions with the BIA of Clark County, the BIA’s Green Building Council, and the BIA of Washington State. Since the ripe age of 12 when his home builder father placed a broom in his hand on a home site, Randy Noel has been involved in home building in some form or fashion. He worked his way through the ranks and ultimately became vice president of operations for his father’s company. In 1985, he began his own custom building company, Reve Inc. He was president of the HBA of Greater New Orleans as well as the state association. He currently serves on the LHBA Self Insurance Workers Compensation Board of Trustees and the General Liability Indemnity Trust Board. 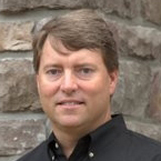 He is an NAHB Life Member, and has been on its Executive Board since 2008. He is the past chairman of the Louisiana State Uniform Construction Council, and member of the Institute of Residential Marketing in the state of Louisiana. Bobby Parks has over 30 years of experience in manufactured housing, modular homes, residential site-built construction, and light commercial construction. His specialties include HVAC, energy auditing, and building failure analysis with over 3,000 buildings analyzed and documented since 1998. He is an accredited RESNET Home Energy Rater, NATE and Healthy Homes of Louisiana Recognized Training Provider, and a member of the National Association of Home Builders, National Fire Protection Association, and Louisiana Home Builders Association, among other organizations. Dwight “Sonny” Richardson is a 2nd generation builder/contractor with extensive construction litigation experience. A 1970 Building Science graduate of Auburn University, Richardson is a licensed real estate broker, general contractor, home builder, master plumber/gas fitter & retired Lieutenant Colonel, US Army Corps of Engineers. 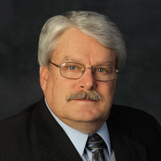 He has twice chaired the NAHB Construction Codes & Standards Committee.